Just Buffalo Literary Center’s mission is to create and strengthen communities through the literary arts. And for more than 40 years, Just Buffalo Literary Center has brought the world’s greatest writers to Buffalo, hosted poetry events and readings, and supported the development of young writers. We believe in the love of reading, the art of writing, and the power of the literary arts to transform individual lives and communities. You could say that Just Buffalo began with a poem…. 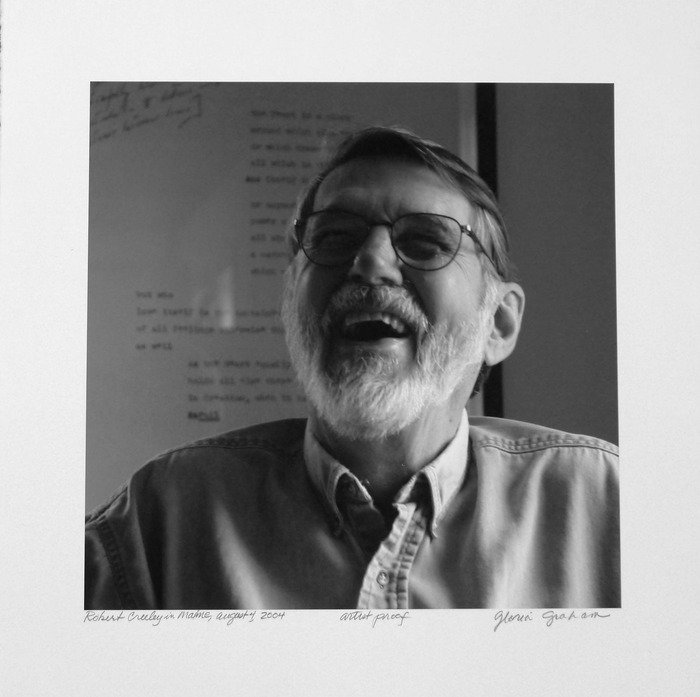 When Just Buffalo Literary Center’s founder, Debora Ott, first heard this poem as a teenager in New York City, it inspired her to come to the University at Buffalo to study with its author, Robert Creeley. UB’s English Department was legendary, attracting incredible poets and writers to both its faculty and its student body. Born in 1975 out of that intense period of innovation in the literary arts, Just Buffalo created a new niche, inviting writers out of academia and into the heart of the community.